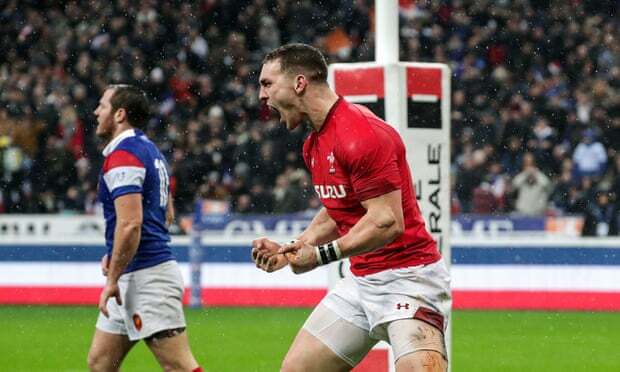 George North scored two tries as Wales overturned a 16-0 half-time deficit to beat France 24-19 in Paris on Friday. MARIETTE ADAMS reports. This is a massive result for Wales and the first statement of intent from a top rugby nation in this World Cup year. The match showcased the good and the bad of Le Bleus. In the first half, they lit up the stadium with effortless French flair. 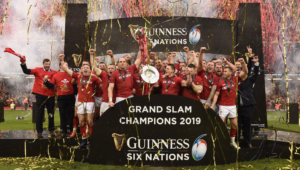 They varied their attack, bossed the forward exchanges, deployed an accurate kicking game that caused the Welsh back three all sorts of problems and were clinical in their execution. That was until their second-half implosion. Wales struggled to settle down in an error-strewn first half. In particular, their soft defence was an area of concern, but the visitors redeemed themselves in the second half to turn the contest on its head. In a frantic start to the game, France created the first scoring opportunity. While Wales were able to rebuff the initial onslaught, France countered beautifully from a poor clearance kick, and after a few nice touches from the backs, No 8 Louis Picamoles’ angled run saw him beat the Welsh defence for the opening try. Morgan Parra missed the conversion and his next two attempts off the tee, while Gareth Anscombe skewed his first two kicks at goal. During a period in which they could do no wrong, France extended their advantage when Yoann Huget skinned North on the outside for their second try. Wales were static on attack, but Liam Williams sparked them to life with two scything linebreaks. He appeared to have scored after the first run, but the try was overturned as replays confirmed he had lost control of the ball as he slid towards the line. France seemed intent on testing the aerial abilities of Williams, North and Josh Adams, and they were rewarded with a penalty, slotted by Camille Lopez. On the stroke of half-time, the flyhalf seized the moment and struck a sweet drop goal in the driving rain. He immediately turned and punched the air in acknowledgement that France now had a 16-point buffer. Wales came out firing after the break. The game continued at the frenetic pace of the first half, but this time Wales were in control. 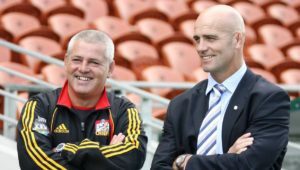 They retained possession for an extended spell before Adams sniped around a ruck, drew the last defender and freed up scrumhalf Tomos Williams. Soon after, North profited from a horrible mistake by Huget, who spilt the ball right on his tryline in his haste to secure possession after a kick in behind the defence. 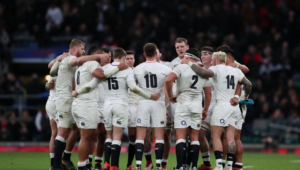 Dan Biggar and Lopez traded penalties, which saw France lead 19-17, and the hosts appeared set to get the next score which would have put the result to bed. However, while hot on attack with Wales on the back foot, Sébastien Vahaamahina’s speculative pass out wide was collected by North, who ran the length of the field to score what would be the match-winning try. France – Tries: Louis Picamoles, Yoann Huget. Penalty: Camille Lopez. Drop goal: Lopez. Wales – Tries: Tomos Williams, George North (2). Conversions: Gareth Anscombe (2), Biggar. Penalty: Dan Biggar. 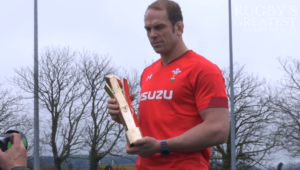 Wales – 15 Liam Williams; 14 George North, 13 Jonathan Davies, 12 Hadleigh Parkes, 11 Josh Adams, 10 Gareth Anscombe, 9 Tomos Williams, 8 Ross Moriarty, 7 Justin Tipuric, 6 Josh Navidi, 5 Alun Wyn Jones (c), 4 Adam Beard, 3 Tomas Francis, 2 Ken Owens, 1 Rob Evans.